Motif flowers were ON and all over my today's look. Again to be presented to you is one piece jumpsuit, this time a leg-wide jumpsuit. A different design can't make a big difference but wear it with a bright color together can have a small visual impact, don't you think? Have a wonderful week everyone and Happy Spring! love that coat and purse! 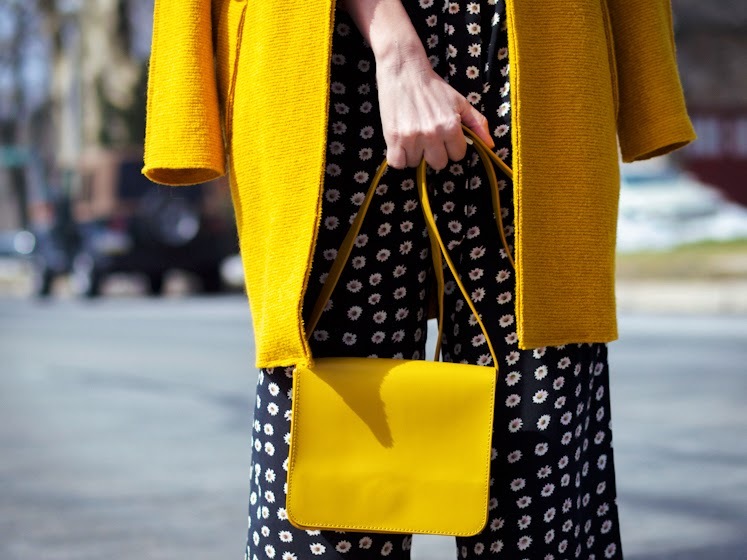 I’ve always loved yellow and am so glad it’s prominent this season! Amazing black and yellow combo! You look stunning! Love this look and that colour! You look gorgeous!